Worshippers stunned to find synagogue in Petah Tikva defaced with graffiti of Christian symbol. The suspects - two teenage Jewish girls. A synagogue in the city of Petah Tikva was vandalized last week, BeHadrei Haredim reports, with a cross spray-painted across one of the house of prayer’s outer walls. On Thursday night, police received a report that two suspects were defacing the synagogue with graffiti. Police arrived on the scene and found that the synagogue had indeed been vandalized. While conducting a search of the area, officers detained two suspects. The two in question, who are believed to be responsible for spray-painting the Christian symbol – are teenage Jewish girls, ages 13 and 15. 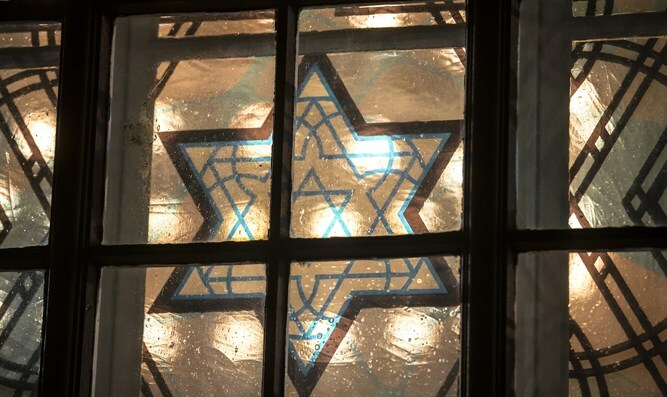 During questioning, neither of the suspects could explain what motivated them to vandalize the synagogue, and investigators say it appears the two did so simply out of boredom.